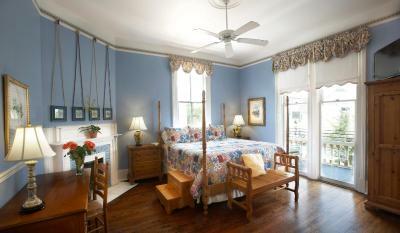 Lock in a great price for Maison Perrier Bed & Breakfast – rated 9.7 by recent guests! The breakfast was incredible! Super tasty and had a lot of variety. The stuffed french toast with berries was wonderful! The location was great. Very accessible to everything. And our hosts were amazing and so helpful! There was also a lovely, very large balcony to sit on and enjoy. Great hosts that made you feel welcome and gave tips (plenty of reference materials as well) on what to do and where to go. 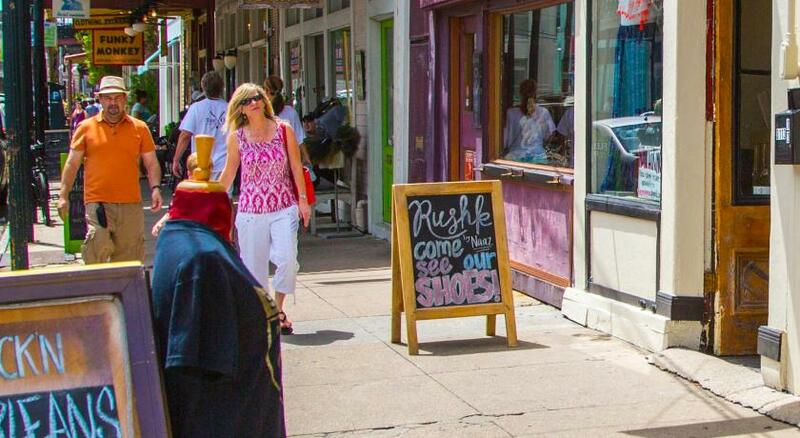 Streetcar to French Quarter is 2 blocks away and plenty of great restaurants and shops just 3 blocks away. Nice and quiet in the Garden District and that lets your get away from the French Quarter if you wish to do that. Easy street parking as well. Charming grand old lady of a house! Impeccably clean, courteous staff, delicious breakfasts, comfortable beds, amazing hot shower, great location... we will be back! Breakfasts were wonderful! Individually prepared and served in a very relaxed setting. The neighborhood was great for walking and the street car (two blocks away)made everything close and easy to get to. Tom and Patricia run a 1st class BnB and New Orleans was fun. The staff was so welcoming & helpful. The food was incredible. The property was beautiful & charming. It was a very comfortable place to stay. 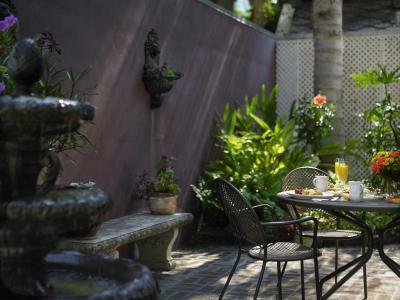 This B&B was centrally located in the garden district and walking distance from some great eateries and sightseeing opportunities. The St. Charles streetcar line is a block away and makes for some wonderful photography opportunities up and down the line and a very inexpensive mode of local transportation. The hosts were amazing and offered a lot of options for food and entertainment nearby and in the quarter. Tom and Patricia were very welcoming and highly accommodating. Ask Patricia to make her Orange French Toast....AMAZING!!!! Tom and Patricia are gracious hosts. Tom really knows the best places for music, food, and shopping. There was an ample breakfast served every morning. Both cold and hot choices were available. Breakfast was also a nice time to meet and chat with the other guests. Everyone was very friendly. 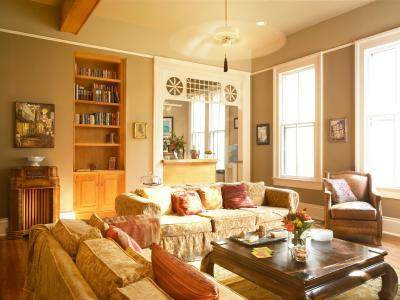 Maison Perrier Bed & Breakfast This rating is a reflection of how the property compares to the industry standard when it comes to price, facilities and services available. It's based on a self-evaluation by the property. Use this rating to help choose your stay! One of our best sellers in New Orleans! 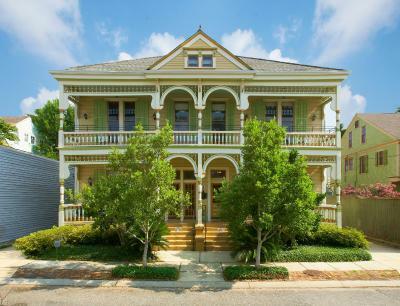 Located in the Uptown/Garden District of New Orleans, only 3 blocks from St. Charles Avenue, this historic bed and breakfast was built in 1892 by the owner of Jackson Brewery and offers ornamental woodwork, beautiful antiques, and thoughtful services. 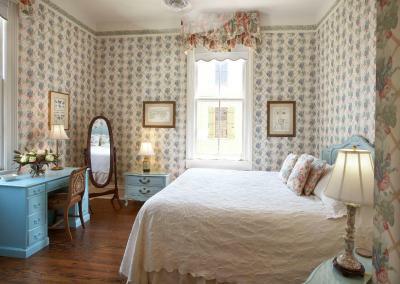 All guest rooms at the Maison Perrier feature air conditioning, a flat-screen TV and free WiFi. Guests can appreciate private bathrooms with free toiletries. Some rooms offer a spa bath. A free, home-cooked breakfast is served every morning, accompanied by fresh fruit, yogurts, cereals, pastries or bagels, coffee, tea, and juices. Complimentary fresh-baked cookies or brownies and cakes are available to enjoy at any time, as well as a free selection of teas. Guests are also welcome to partake in the gourmet fruit and cheese board services in the evenings on Fridays and Saturdays. 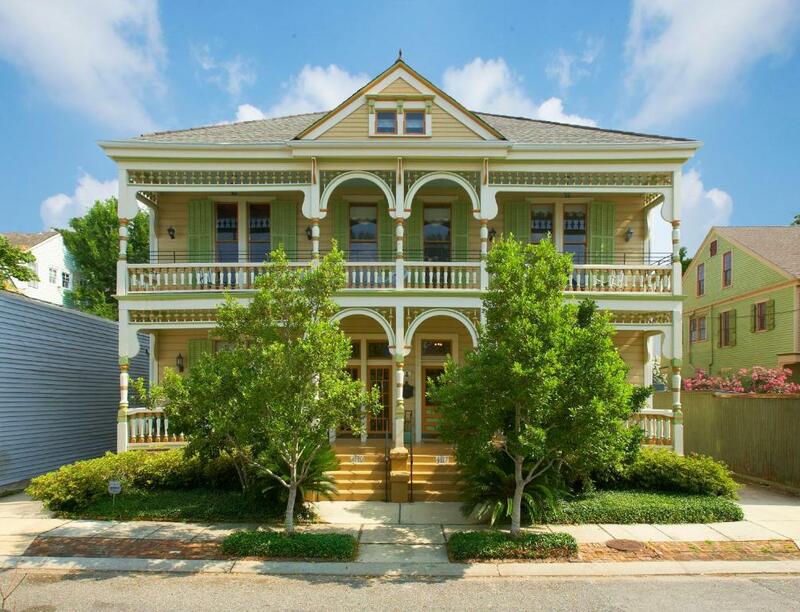 Magazine Street is within a 5-minute walk of Maison Perrier Bed & Breakfast, while Louis Armstrong New Orleans International Airport is within a 30-minute drive. When would you like to stay at Maison Perrier Bed & Breakfast? Featuring a private balcony with a seating area, this room comes with 1 queen bed. A flat-screen TV, work desk and CD player with a stereo are also provided. The private bathroom includes a hairdryer. A spa tub may be requested upon availability. A security safe is included. A flat-screen TV, a telephone with private voicemail, and a private bathroom are provided in this room. There is also a CD player with a stereo. A security safe and desk are also included. This room comes with 1 queen bed. A flat-screen TV, work desk, and CD player with stereo are also provided. The private bathroom includes a hairdryer. This room is closest to the shared dining area. A security safe is included. Please note: this is the least sound resistant room on the property. Featuring 1 queen bed and a full private bathroom with a hairdryer, this room also provides a flat-screen TV. A CD player with a stereo and phone with private voicemail system are included. A security safe is included. An additional sitting area with a flat-panel TV is featured in this guest room. A private bathroom with a two-person spa tub and a walk-in shower is also included. A security safe is included. This double room features a seating area, cable TV and bathrobe. House Rules Maison Perrier Bed & Breakfast takes special requests – add in the next step! Up to two children under 16 years are charged USD 30 per night when using existing beds. Maison Perrier Bed &amp; Breakfast accepts these cards and reserves the right to temporarily hold an amount prior to arrival. Maison Perrier Bed & Breakfast accepts these cards and reserves the right to temporarily hold an amount prior to arrival. Please note that this property does not have a 24-hour front desk, therefore all check-ins are conducted by appointment. Please contact the property directly with estimated time of arrival. The property should be contacted directly to discuss availability of rooms that would accommodate families traveling with children, infants, or any additional occupants beyond base double-occupancy. Please note a deposit in the amount of 1 night's rate will be charged at time of booking. Please contact the property in advance of the scheduled arrival day with a one hour time-window to serve as a check-in appointment (for example, 3:00 to 4:00 PM). Maison Perrier will ensure that someone is on-site to greet arrivals. If an unforeseen delay is encountered, or guests are arriving earlier than initially anticipated, they should text or call the property owner at 504-352-2821 prior to the start of their original check-in window, and the staff will readjust in order to meet with them. Early check-ins (after 10:00 AM) and check-ins after midnight are accepted however, appointments must be made in advance of the arrival day. If a party has scheduled an early check-in, please be advised that outgoing guests are not required to leave the room until noon. Incoming guests are still welcome to arrive early, get their check-in paperwork completed, stow their luggage on-site, and property staff will move the luggage to the room while they are out enjoying their day. Rooms are guaranteed to be turned and ready no later than 3:00 PM. Nothing, everything was just perfect. Thank you Patricia and Tom. There was absolutely nothing you could fault with this property, the owners or the location. from the moment we arrived until we left the owners made us feel like part of the family and we had full use of the facilities and the seating/dining areas. Tom and Patricia were absolutely wonderful hosts, nothing was too much trouble and the location was perfect. Our rooms were very comfortable and we wouldn't hestiate to recommend this property to other travelers, 1000 times better than staying in a downtown grey boring hotel chain. great area and great people! 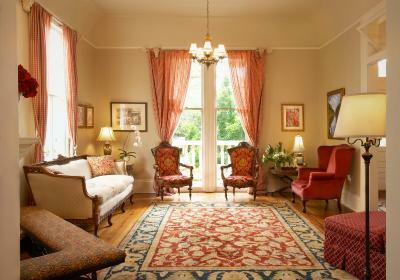 Maison Perrier is a wonderful place to stay, in a lovely location near the St Charles Streetcar. Breakfasts were delicious, the accommodation is perfect, and the hosts are delightful! We will be back. Absolutely everything. Tom and Patricia were excellent hosts. I stayed at the property to sit some exams. They cheered for me, they helped out with preparing breakfast a bit earlier on exam days and they made sure the room and surroundings were quiet during my exam when I had to do it in the B&B. The staff were EXTREMELY nice. Breakfast was absolutely delicious and different each day. I was given directions to nearby attractions and one of the staff even lent me her phone to contact a tour guide. I am super grateful to the hosts for this excellent stay. Great staff and ownership, tasty breakfast, excellent location and very nice rooms/suites. Great Breakfast - we enjoyed being downstairs when we made it down on time due to our late nights out in New Orleans. The time set for breakfast was fine it is just that we are exceptional, late night, people for our age... we were very happy! 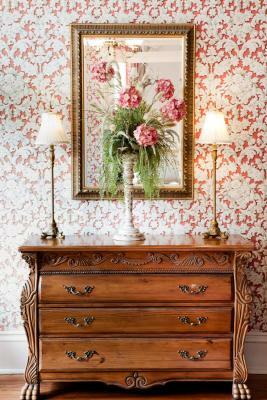 Getting to know the staff when we could take their time to visit with them, and the owners too of course, made us feel even more at home at Maison Perrier B&B. The garden district is so extremely beautiful and is comfortable to walk at any hour.